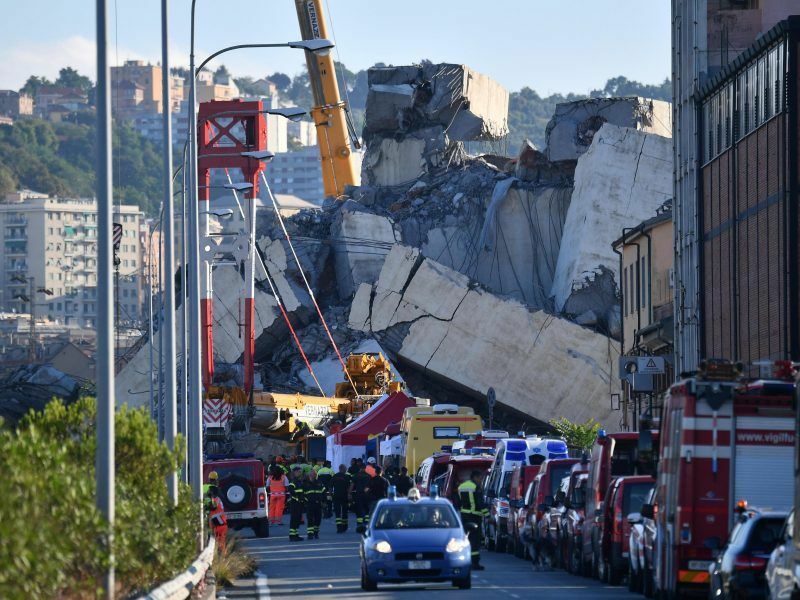 Five Star Movement leader Luigi Di Maio insisted on Monday (27 August) that bringing Italy’s tolled motorway network under state control is the “only solution” following the deadly collapse that claimed the lives of 43 people. “We’ll get out of the logic of profit, we’ll lower the tolls, we’ll do much more maintenance and we will introduce technological innovations to improve safety and mobility,” Di Maio said in a Facebook post. But his opinion puts him on a collision course with coalition partner and far-right Lega leader Matteo Salvini, his fellow deputy prime minister and Italy’s interior minister, who on Thursday came out against the idea of nationalisation. 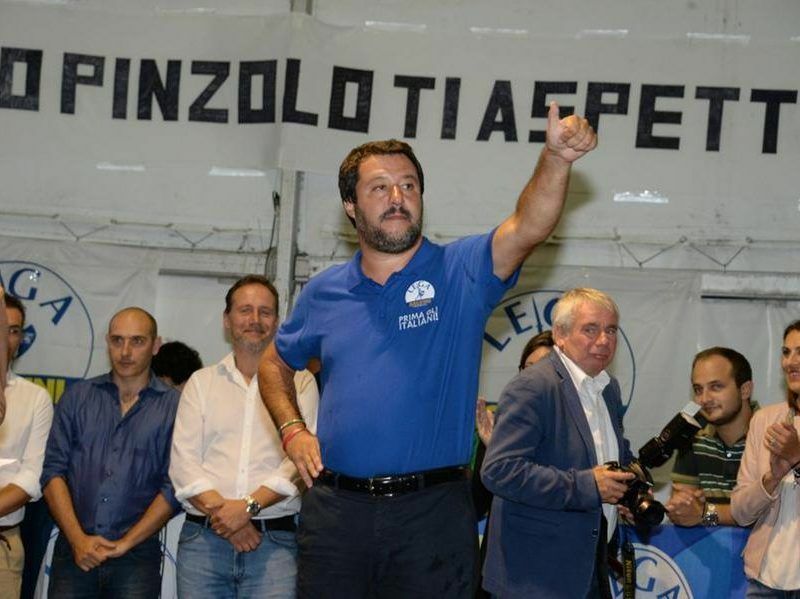 “I am not in favour of nationalisations,” Salvini said in a radio interview, suggesting that state concessions, like the one granted to motorway operator Autostrade per l’Italia, need to be reviewed. 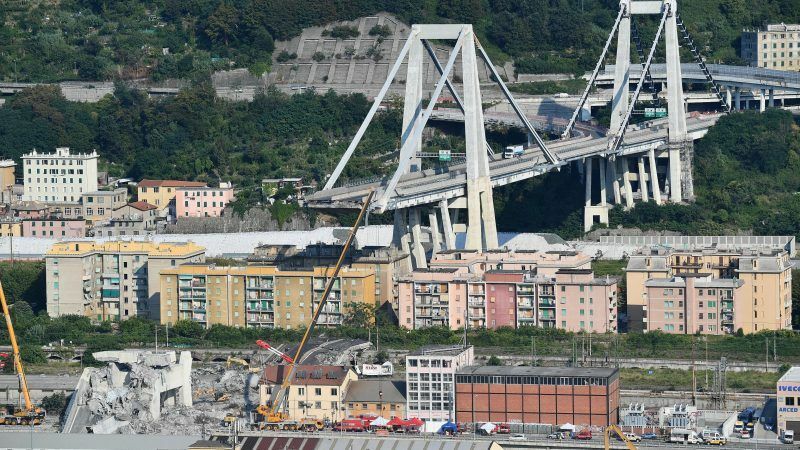 Brussels has recently encouraged Italy to increase expenditure in infrastructure, EU officials said on Thursday (16 August) in response to Italian Interior Minister Matteo Salvini’s allegations that the bloc’s austerity policies were partly responsible for Italian bridge collapse. Di Maio’s party colleague, Danilo Toninelli, who is transport minister, said in Rome on Monday that the government now wants to do a thorough audit of all licences granted to motorway operators, including checking their maintenance expenditures. Toninelli, who like Di Maio is in favour of nationalisation and who has already claimed that Autostrade per l’Italia failed to invest billions of euros in upgrading highways, believes that Italy should follow the lead of “Germany, the Netherlands and Belgium, (where) the motorways are owned by the state and are partly free”. Although favouring state control, Toninelli last week shot down the idea that state lender Cassa Depositi e Prestiti (CDP) could take a stake in Autostrade, denying any knowledge of the plan. Whether the issue of what to do with the motorways could pull apart an at-times-shaky coalition deal between Five Star and Lega remains to be seen but migration, for the time-being, looks like strengthening their ties after Di Maio came out in defence of Salvini. Salvini’s refusal last week to allow migrants to disembark from a rescue ship escalated a row with Brussels and prompted an investigation against the interior minister, as well as provoking the leftwing of Five Star to call the Lega coalition into question. But in another Facebook post, Di Maio insisted that “there is a difference between a politician investigated while acting in the interests of the nation and parliamentarians investigated for corruption”. That defence has already provoked cries of hypocrisy from within Di Maio’s own party, with MPs accusing him of “double standards” given that Five Star insisted during its time in opposition that any politician under investigation or found guilty of corruption should be ineligible for office. One of the problems that is going to be faced by infrastructure all over Europe is that considering the ‘NGO’ Transport & Environments’ policies regarding the decarbonisation of trucks; ie try to get as many battery-powered trucks on the roads as possible; this is going to mean that bridge collapses such as the one in Genoa are going to be commonplace. “Negatives such as lengthy charging times, the weight of batteries, and an inability to travel long distances, were reasons fully electric trucks were not seen by CESAR as being the best option for Canada as a whole.